Oregon dispensaries get some great news, Vermont’s governor throws his weight behind a recreational marijuana bill, and New York’s fledgling MMJ program continues to struggle. 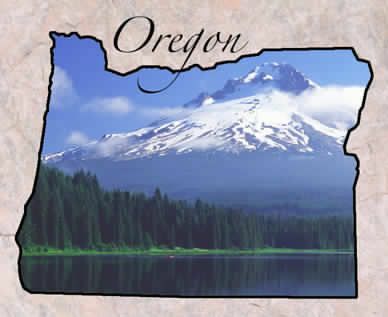 Medical dispensaries in Oregon are rejoicing this week, as they should be. On Tuesday, the state’s governor signed into law a bill that, among other things, will allow existing medical retailers to begin selling edibles and concentrates to recreational customers before Oregon’s adult-use system is fully up and running later this year. The move will provide another huge sales boost for dispensaries. Sam Chapman of New Economy Consulting thinks the spike could equal the 100%-plus sales growth (by his estimation) many dispensaries saw last October, when they were allowed to begin selling cannabis flower to anyone 21 or older. It’s not clear when dispensaries will be allowed to begin selling rec edibles and extracts. Chapman estimated that it’ll probably be within the next couple of months, which is well before the state will begin issuing retail licenses under its recreational program. However, the state could implement some restrictions. Lawmakers, for instance, are considering limiting edibles doses in the recreational market to five milligrams of THC per serving and 50 milligrams per package, Chapman said. That’s half the legal dosage limit in Colorado and Washington State. Still, the early start to rec edibles and extracts sales is something to celebrate. Vermont Gov. Peter Shumlin penned a blog post this week in support of a recreational marijuana legalization bill, which could be voted on in a House committee next week. Shumlin has voiced support for legalization before. But his latest expression comes at a time when the bill needs all the help it can receive to get out of committee and onto the House floor. “This is a really critical juncture for the legislation,” said Bill Lofy, a former Shumlin aide who now runs a political consulting firm and is on the steering committee of the Vermont Cannabis Collaborative, an advocacy group. Lofy believes the House is ready to start making amendments to the bill, which the state Senate passed last month. “I’m very optimistic that the members of this committee will come to the same conclusion that the Senate did,” Lofy said. If the bill does get out of committee, it would need to clear two more committees before heading to the House floor for a vote. If it succeeds there – which is not a given – it would need to go through a joint House-Senate committee and then back to each chamber for a vote. Then Gov. Shumlin can sign it. Time is of the essence, as the legislature usually adjourns for the year in May. Lofy believes that the roughly five weeks left in the session is just enough time to get the bill passed. “They’re cutting it close, but I believe there is enough time,” Lofy said. Of the 2,039 doctor-certified MMJ patients in New York, only about a 1,000 have purchased medicine from one of the five licensed producers and distributors in the state. That’s obviously not a good sign for New York’s program, which is off to an excruciatingly slow start as it is. Etain, one of the licensed companies in the state, hopes a new dispensary – its fourth – opening April 1 in Yonkers will increase its patient account. The company’s three other dispensaries have between them seen about 200 patients since the program launched Jan. 7, said company spokesman Steve Sallmer. “We hope we’ll get a lot of patients there. It’s a very populous county,” Stallmer said. Stallmer said only about half of New York’s MMJ patients have bought medicine because of issues tied to the cost of medicine and a lack of accessibility. “The dispensaries are spread out upstate. There are pockets (where) you could be two hours away from the nearest dispensary,” Stallmer said. The company estimates that it needs at least 1,000 patients to be sustainable. Etain executives believe they will get there, but they are also ready to reassess if necessary. Stallmer said he’s also hopeful that the state legislature, which is in session until June, will pass legislation that would double the number of dispensaries and make it easier for patients to register for MMJ.